...l to r - an old piece of transfer ware, a nice book about Princess Alix Viktoria Helena Luise Beatrice of Hesse and by the Rhine, aka "Sunny", who to be know in history as Alexandra Feodorovna, the last Tsarina of Russia (can you tell I love me some Russian Imperial History)... also...this super "Grinch" mug, a great old piece of Nippon ware and a stoneware cookie jar with fun ducks on it! That's all for today sports fans, again I do thank you for stopping by and invite you to stop again!! I love the Romanov's as well. I am still waiting for the library to get the fairly recent book on the Romanov sisters. I may break down and buy it myself!! Loved your peanut post as well. My mother used to "parch" raw peanuts and they were so good on a cold winter night. 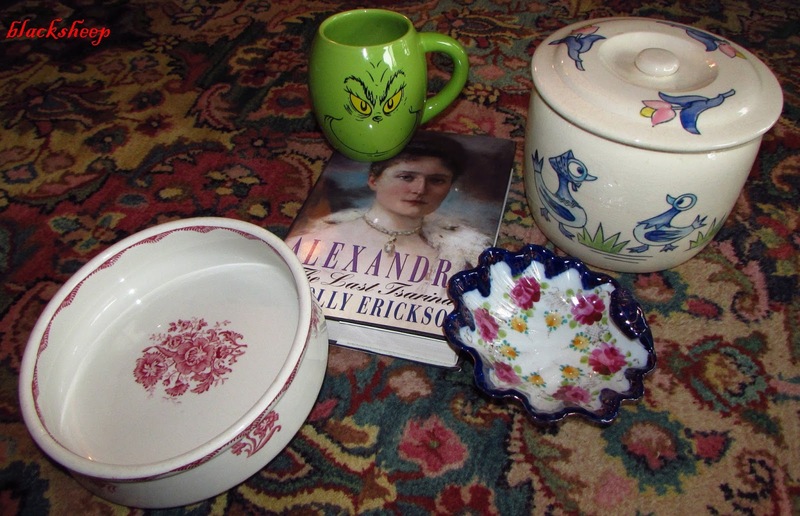 Great thrifty finds! 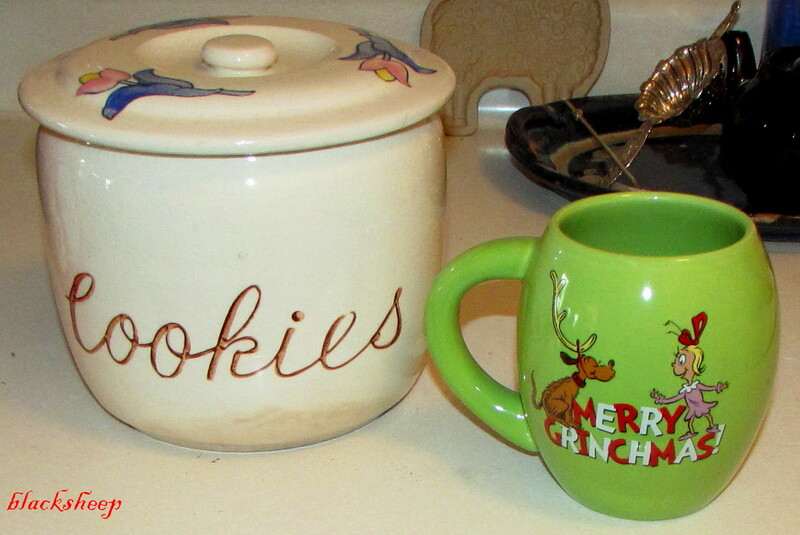 I especially like the cookie jar and the Grinch mug. Wishing you & your family a very happy and healthy 2016! I love that cookie jar. The book sounds interesting. I always enjoy reading about royalty of the past. You always find such great items. Score!!! Have a wonderful weekend. Dearest Edgar: Love seeing your Thursday posts, you find such wonderful things to bring home and love. Great finds - love the cookie jar! You did find some goodies. I like the grinch mug!